SG Lewis‘ “Shivers” is a vocal-driven, downtempo testament to the power of music highlighted by JP Cooper‘s soulful hook. 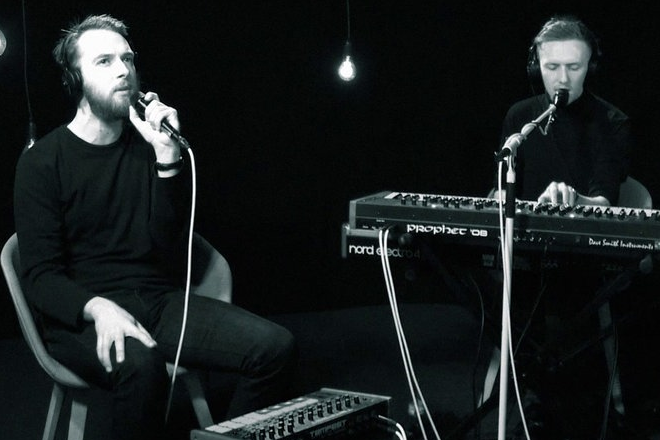 HONNE, however, saw the track as an undulating, instrumental driven slice of electro nostalgia. On the London duo’s new remix they strip away almost all of Cooper’s vocals and use the hook’s rhythm to build an intoxicating, warm synth melody. Punctuated by crisp drums and the occasional subtle flourish, HONNE’s remix gradually builds into an uncharacteristically big production that brings new and exciting life to Lewis’ original cut. Listen below.